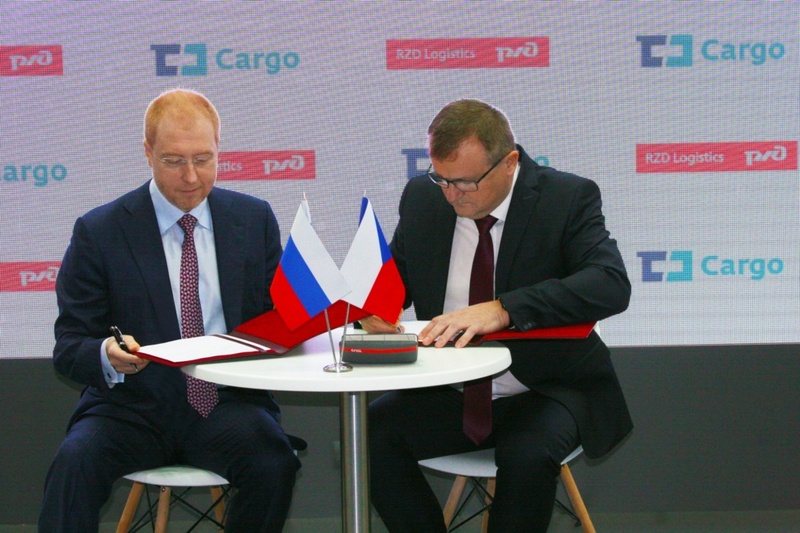 The memorandum was signed by CEO of RZD Logistics Mr. Viacheslav Valentik and member of the board of ČD Cargo Mr. Bohumil Rampula in the framework of the exhibition TransRussia-2019, which is taking place from April 15th to April 17th in Moscow. The parties agreed to unite efforts and work together on the development of high-potential transport products for international logistics market, including the area of container transit, and also to hold joint marketing research on rail freight. “Rapid development of international transit involves in this sphere more transport and logistics companies from different countries. We are all united by the aspiration to contribute to this global project. Geographically Czech Republic is located in the very heart of Europe, which makes it a very convenient transport hub for shipments of transit cargo to almost any destination within European Union and vice versa – in Czech Republic it is convenient to consolidate cargo for its further transportation to East. I am convinced that ČD Cargo will be a reliable partner of RZD Logistics in Europe”, – said CEO of JSC RZD Logistics Viacheslav Valentik.